Since 1930, the FIFA World Cup soccer championship has been held every four years, with the latest one being held in June and July, 2010. A World Cup year is a great time to organize a soccer-inspired fundraiser! If you’re a parent with a child (or children) on a school or recreational soccer team, you’re already aware of how expensive the season is. Parents are looked to when the school or community funding runs dry. They pitch in for uniforms, travel expenses, field fees, new equipment, and much, much more every season. If you’re a parent or teacher, you have a vested interest in planning successful sports-related or soccer fundraising events that will draw the most participation and profit. Successful soccer fundraising begins with deciding on what charity events will draw the most of both. Soccer is an expensive sport, especially for traveling teams at advanced levels where hotels, eating out, and traveling expenses are required. Here is a list of our favorite soccer fundraising ideas to help you make a profit. 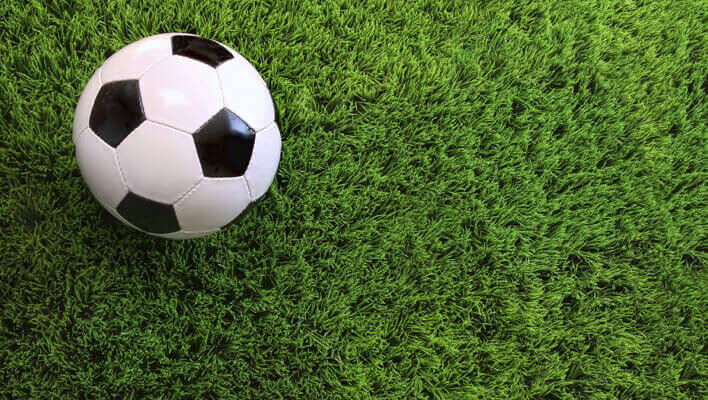 Create some excitement around your upcoming soccer season with a ball kick-a-thon. This kicking contest is simple to organize as it’s a fundraiser that can be held at school or on a community field—for free! It may take you a couple of weeks to prepare and promote your event, but there’s barely any overhead. Create some competitiveness around your event by having popular teachers, parents, principals, and coaches man the net. Eager kickers can pay a small donation for the chance to score a goal on them. Keep the kicks between $1 and $3. Remember that people will try multiple times, and this adds up quickly. In addition, let attendees sponsor a kicker by pooling their donations to pay for a certain individual—soccer team captain, principal, coach—to score on the English or math teachers. This is a fun event, and it will work up an appetite, so ask for the baking talents of parents and friends, and sell their baked goods, drinks or other snacks during the kick-a-thon. This fundraising event asks for donations to sponsor a soccer team player for the year. Approach local businesses, radio stations, newspapers, and individual classes for sponsorships. Once team players get a sponsor, they are responsible to play and maintain a professional team attitude. This is a great event because it really teaches kids that they are responsible to their team, family, sponsors, and themselves. Sponsorship funds can go towards individual game transportation, hotel stays, uniforms, and other game-related expenses. This is an especially great event if your soccer team is at the age to mentor younger children. They can host a soccer camp to help younger kids learn soccer skills. Your soccer camp can run for a whole week, month, or summer, and participants can be asked to pay a set amount, or per day. If your camp is day-long, ask a local pizza or burger joint to donate items for lunches at camp. Everyone likes some outdoor entertainment, especially when it’s a team sport. Draw the crowds out when you host a live soccer match. You will have to organize this between two rival schools or competitive teams. After your game, sell spectators a burger, sausage or barbecued chicken breast on a bun served by their favorite players and coaches. Make sure to offer all of the popular condiments such as ketchup, mustard, relish, barbecue sauce, pickles, and onions. You can also offer sides such as cole slaw, baked beans, corn on the cob, and even dessert for an extra donation. Team members, coaches and parents can sell tickets for barbecued items, or grill and fill plates. Contact a local butcher, grocer, or burger joint, and offer free advertising in exchange for food donations.